Earlier this week, Forbes Magazine decided to promote an article it originally published in April about a study, done by a team of students and instructors at two distinguished universities, that purported to identify "America's Best Airlines." I still haven't decided whether the article, which Forbes promoted on Facebook and which anointed Seattle-headquartered Alaska Airlines (NYSE:ALK) "The Best," represents the declining state of journalism or whether the "research" represents the declining state of academia. Please understand that I am not trying to take anything away from Alaska; as a frequent passenger since the 1980s, I think Alaska is indeed among the country's best. My issue is with the article and the authors of the study. In the article, contributor Grant Martin said, "To come up with the rankings, the team weighs on-time performance, denied boardings, mishandled baggage and customer complaints to calculate the best carrier for the year." Fair enough, but if Martin is correctly relating the factors that were evaluated, a breathless article such as his is completely unjustified. Why? Two reasons. First, the figures to which he refers are objective, while judging something "The Best" is, at least in part, subjective. On-time performance and similar metrics are only part of the picture. How passengers are treated and how much seat and legroom we have are, to many of us, far more important. Second, the U.S. Department of Transportation (DOT) publishes a monthly Air Travel Consumer Report (ATCR) that tracks those very same factors on a monthly basis, and the December ATCR includes the full-year figures as well. If the schools' methodology showed something the DOT numbers didn't or if they gave those factors certain weightings, then that should have been the lead for both the study and the article about it. Finding "the hook" is Journalism 101 and is a good practice for those writing synopses or executive summaries as well. Further, DOT figures paint a different picture, even using the same metrics. They show that Hawaiian Airlines (NYSE:HA) had the best on-time performance in 2016 while Alaska Airlines was second. Hawaiian had the lowest percentage of flights cancelled, while Alaska was sixth. Virgin America had the lowest number of mishandled bag reports per 1,000 passengers while jetBlue (NASDAQ:JBLU) was second and Alaska was third. Finally, Hawaiian had the lowest number of involuntary denied boardings for the year. Consumer complaints are another area where the study and the DOT figures diverged. According to the DOT, Southwest Airlines (NYSE:LUV) received the fewest pro rata complaints: 0.47 per 100,000 passenger enplanements. 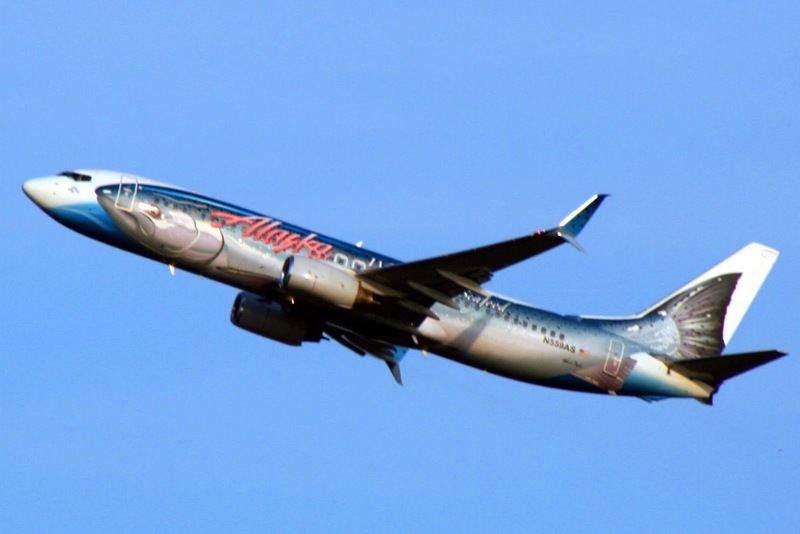 SkyWest Airlines (NASDAQ:SKYW) was second at 0.49 while Alaska was third, at 0.50. ExpressJet Airlines (NYSE:XJT) was fourth, at 0.51 complaints per 100,000 enplanements. Agreed, a difference of 0.04 complaints between No. 1 and No. 4 is not statistically significant but the rankings are the rankings. SkyWest operates as American Eagle, Alaska Airlines, Delta Connection and United Express. ExpressJet operates regional service for the Big Three U.S. carriers. Those carriers were followed by Delta Air Lines (NYSE:DAL) at 0.68, jetBlue Airways at 0.75 complaints, Hawaiian Airlines at 1.16 complaints, Virgin America at 1.85, United Airlines (NYSE:UAL) at 2.27 and American Airlines (NASDAQ:AAL) at 2.49. Scraping the bottom of the barrel were low-fare carriers Frontier Airlines (NASDAQ:FRNT) at 5.94 complaints per, and Spirit Airlines (NASDAQ:SAVE) at 6.74 complains per 100,000 enplanements. When looking only at raw numbers, Horizon Airlines was something of an anomaly. One of the Alaska Air Group carriers, DOT received a mere 17 complaints about Horizon in all of 2016. After Forbes put the article on Facebook, the comments came in fast and furious -- and most had the same tone: It's not things like on-time performance, denied boardings and mishandled baggage that make a carrier "best"; it's treating your passengers like human beings instead of cattle at the very least. "Paying customers" would be a step up, and treating them as honored guests that you are genuinely glad to see would be the ideal. The three Persian Gulf carriers manage to do that consistently, one commenter wrote. Why U.S. carriers can't manage that remains a mystery. The Forbes article disappeared from my Facebook feed a few hours after appearing. Maybe it's coincidence, maybe Facebook's algorithms are too much a mystery to me, or maybe Forbes just couldn't handle the heat and decided to get out of the kitchen. The DOT reports, which are issued around the 15th of the month, are available to everyone at this link. More subjective -- and I would aver, meaningful - surveys of how our fellow passengers evaluate U.S. airlines include the annual airline satisfaction report issued by well-respected customer satisfaction research company J.D. Power and the annual SKYTRAX World Airline Awards that are the result of literally millions of customer reviews and reports. Thanks for your kind words. If you'd like to republish or link to any of my articles, I just ask that you credit Carl Dombek, www.TheTravelPro.us. Thanks.